It’s been months since I was able to get into my website, www.patrickdobson.com, and only recently checked the E-mail. I received the following note from you some months ago. I appreciate your note and the ideas in it. I’m always happy when someone notices my work enough to respond to it. I’m glad you enjoyed Seldom Seen: A Journey into the Great Plains. It was a long time getting published and was, really, one of my dreams come true. I am sorry I am replying so late. I just read a little about the John Muir Trail and hope that your attempt to walk that trail was successful. Even if you didn’t finish or get as far as you wanted, I’m sure that you gained more than you thought you would in self-awareness and a greater appreciation for nature. Did you make your goal of ten miles a day? If not, what kind of trip did you have? What were the things that you learned? How were the people you met? I’d be very interested to find out what your experience was and if that Walt Whitman paperback was worth carrying. If you liked my first book, which it seems you did, you will really like the second book. 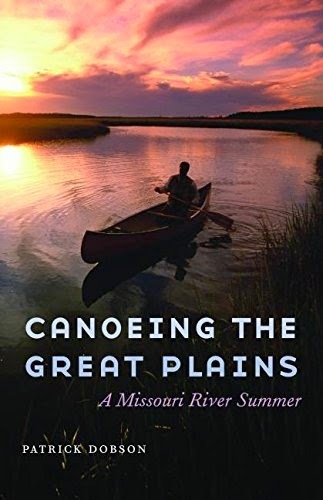 The University of Nebraska is publishing, Canoeing the Great Plains: A Missouri River Summer on May 1. 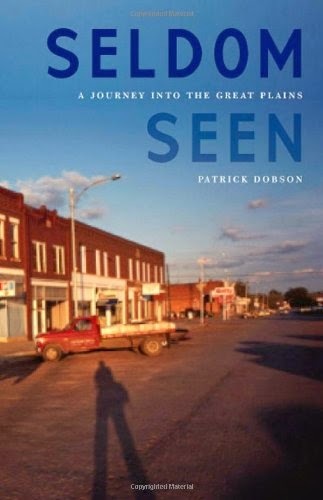 This book takes up where Seldom Seenleft off and is the story of my return to Kansas City on the Missouri River. One thing that may interest you. One of the peer-reviewers with the University of Nebraska likened my work to several well-known American travel authors, one of whom was Cheryl Strayed. She wrote a book called Wild! From Lost to Found on the Pacific Coast Trail. I had not read her work and went right out and got the book. 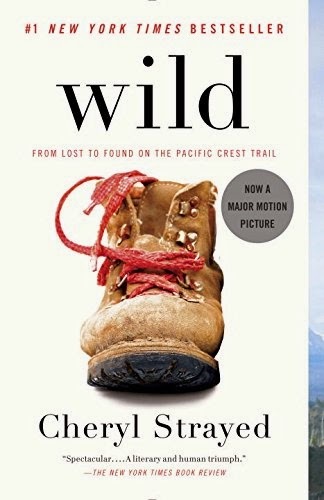 I think that Strayed’s book may interest you and I recommend it, particularly due to your experience hiking the mountains of Muir Trail. And Cheryl Strayed hit the writer’s lottery. Wild! made Oprah’s book list, which made it a bestseller. Reese Witherspoon is playing the lead role in the upcoming Hollywood movie! Strayed has published another bestseller and has another on the way. I can only dream of such things. The reviewer, however, also equated my work with Bill Bryson’s, William Least-Heat Moon’s, and Ian Frazier’s. It would be nice to have the same successes of these authors. I go to bed at night and dream of it. But I realize, too, that being a good author, someone who loves his work and works hard at it, is my ultimate goal, and something that I’m achieving every day. I have the galley proofs for Canoeing the Great Plains next to me on the desk. I’ve reread this book a couple of times since the galleys arrived, the first time just to see what I’d written and how it came through the process. I reread it again to do the yeoman’s work of looking after tiny details—typos, word choice, and word order. I send the galleys back to the press the week after next, and so I may just have to read the book again. I think that Seldom Seen was a good book, the best I could write at the time. Canoeing the Great Plains is much better. In Seldom Seen, I was reluctant to detail some basic parts of myself. Canoeing the Great Plains is a better book because I expose myself more in the tale. If you read it, you will see what I mean. I am proud of both books. I only ever wanted to be an author, and these two books show that I’ve achieved my life’s dream–not that living this dream will keep me from publishing more in the future! As to your questions: Sydney is now 23 years old and living on her own. Our relationship went through its own vagaries and joys in the years following my trip. She gained a stepmother in 1998. She had typical growing up problems when she took out on her own when she was 19, but she seems to have come to terms with them. She and I have a good relationship now, and one of my greatest joys is that she calls me and keeps close. As far as contacting the people I met on the trip: I have seen many of them again since the trip but only keep up with one or two all these years later. Every now and then I get a note from someone I met and it’s always fun to follow that string and see where it leads. Again, thanks for your note. I look forward to hearing of your experience with the backpack. Previous Post Rejoice the rainy day!